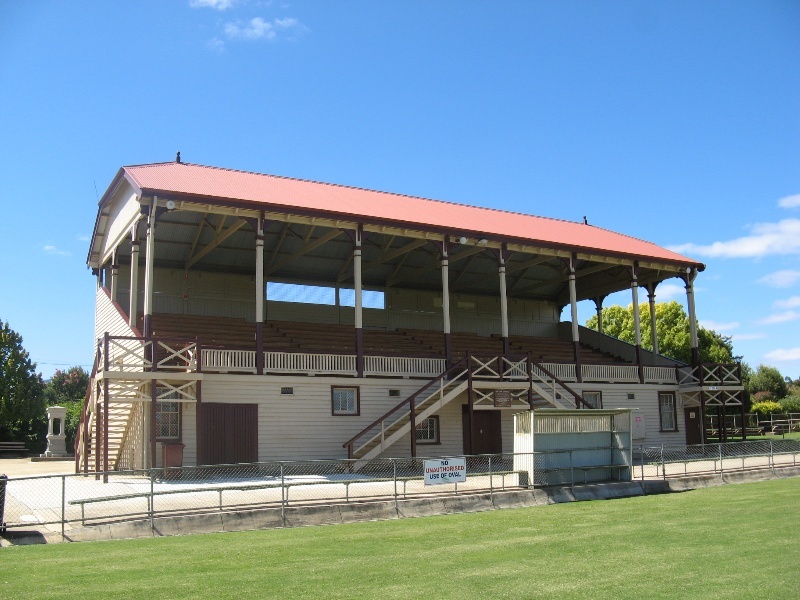 Central Park at Stawell is located near the centre of Stawell and comprises a sports oval, a timber grandstand and other buildings and a number of memorials, set amidst ornamental gardens and lawns. The site was used from the 1860s by the local gold miners as a cricket ground, but is best known as the site of the Stawell Gift, Australia's oldest, richest and most prestigious short-distance footrace. The origins of this race lie in the popular sports meetings organised as recreation by the miners and other community groups from the early 1870s. The Stawell Athletics Club was formed in 1877 and held its first meeting on Easter Saturday 1878 at the botanical reserve. The main event was the Easter Gift, run over a distance of 130 yards (118.9 metres) with a first prize of £20. The third meeting in 1880 had expanded to a two day event and its popularity, and the prize money, continued to grow. By 1884 the Gift had become an international event, with runners from around Australia competing against those from Europe and America. In 1898 the Easter meeting was held for the first time at Central Park, where a new timber grandstand was built, designed by the Melbourne architects Kempson & Conolly. 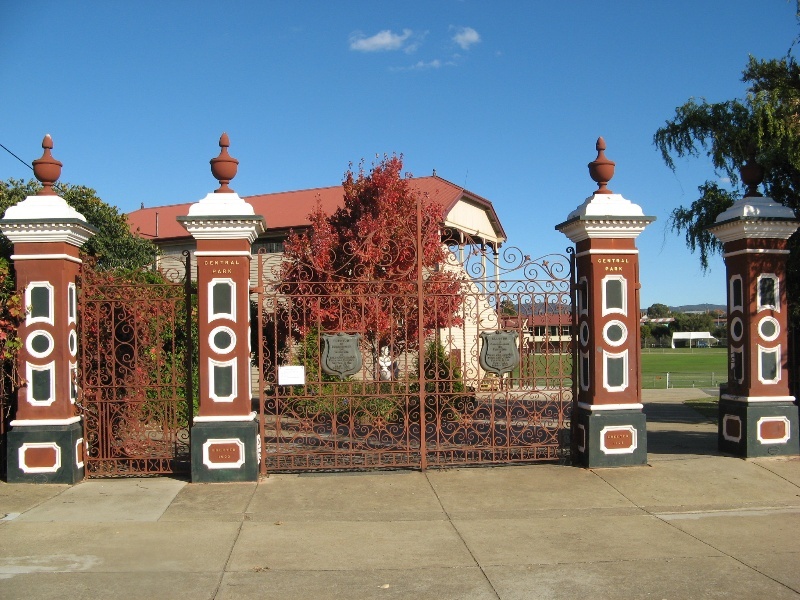 The Memorial Gates, made by the local foundry of Kay & Company, were added in 1903, in memory of the fifty-seven Stawell men who volunteered to serve in the Boer War. 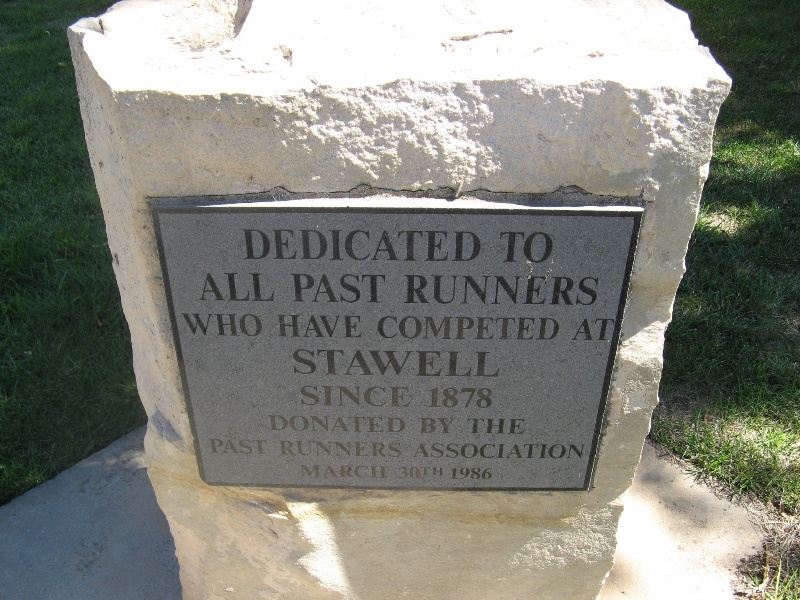 The Stawell Gift meeting has been held at Central Park every Easter since 1899, apart from the war years of 1942-5. It has grown to a three-day event, culminating in the Stawell Gift race, a handicap race now (since 1973) of 120 metres, with a first prize in 2011 of $40,000. Central Park is a reserve of about 7 hectares with views south towards the Grampians. It comprises a grassed sports ground, elaborate cast iron memorial entrance gates supported by masonry pillars, two brick ticket offices, an old timber grandstand and two other newer brick stands, several memorials to past runners and large open areas, including ornamental gardens and lawns. The central feature is the sports oval, around which is a diverse range of mature and semi-mature trees, including both native and exotic species. Between the grandstand and Main Street is a small ornamental rose garden, enclosed by a thick hedge and with a memorial sundial and stone seat. The timber grandstand has a corrugated iron roof supported by timber roof trusses and timber columns and has tiered timber seating. The access stairs have been replaced but to the same configuration as the original. In the ground floor area below are refreshment and change rooms. 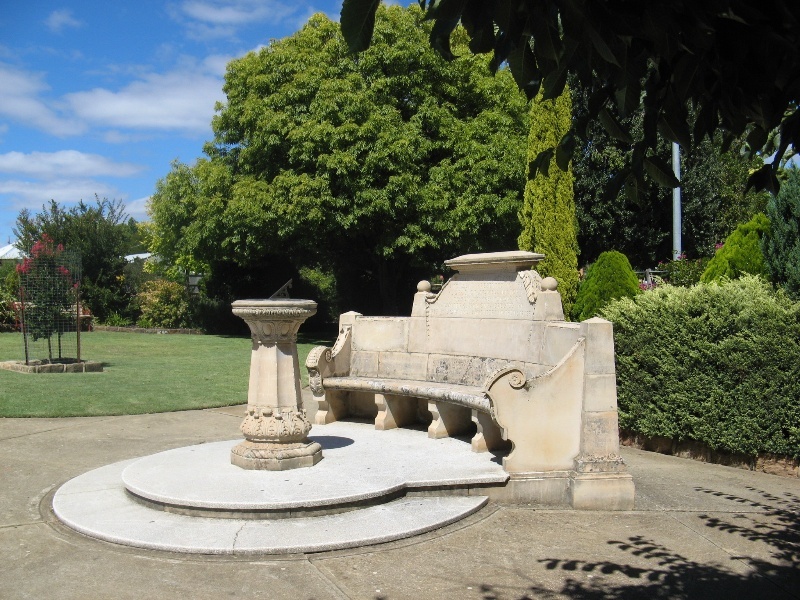 Central Park at Stawell is of historical, architectural and social significance to the state of Victoria. Central Park is historically significant for its long association with the Stawell Gift, Australia's oldest, richest and most prestigious short-distance footrace, which has been held at Stawell every Easter since 1878 (apart from the war years of 1942-45), and at Central Park since 1898. The Gift reflects the importance of athletics events as a recreational activity in the nineteenth century, and the continuing popularity of footracing as a professional sporting event since then. Central Park is associated with the gold mining origins of the town of Stawell, having been used by the miners as a cricket ground as early as the 1860s, and the origin of the Gift lies in the running races held by the Stawell Miners' Association from 1873. 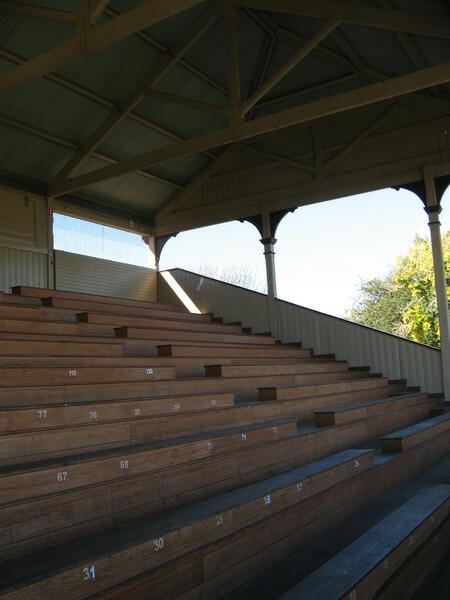 The grandstand at Central Park is of architectural significance as a rare example of a Federation period timber grandstand, and is typical of the era with its timber columns, roof trusses and balustrading and its half-hipped roof. Central Park is of social significance as the site of the running of the Stawell Gift, one of Australia's greatest sporting events. 1. 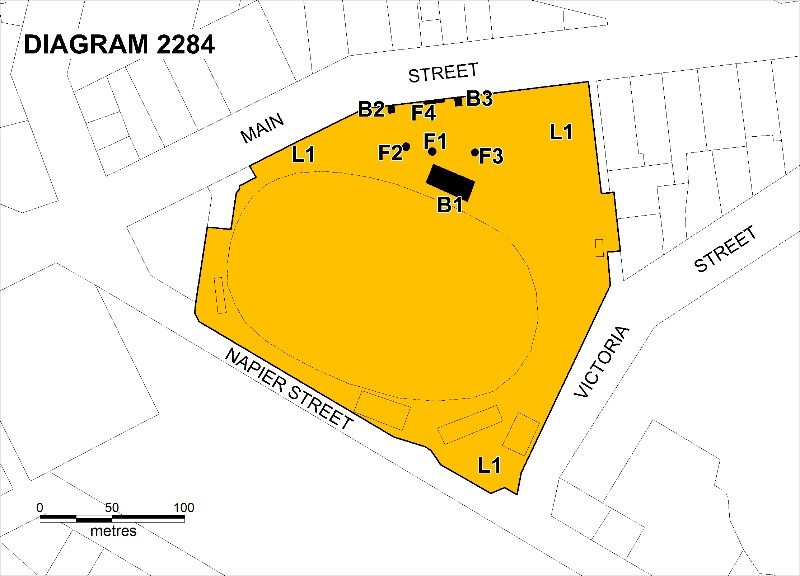 All of the land marked L1 on Diagram 2284 held by the Executive Director being all of Crown Allotments 11, 12, 12A, 13A, 20, 21 24A and part of Crown Allotment 24, Section 24, Parish of Stawell, and all of Lot 1 on Title Plan 702590, Lot 1 on Title Plan 606857, Lot 1 on Title Plan 376352, Lot 1 on Title Plan 226732 and Lot 1 on Title Plan 941620. The large number of British diggers at the Pleasant Creek (Stawell) gold diggings meant that cricket was a popular recreational activity, and the site of Central Park was gazetted as a cricket ground in the 1860s. The site was chosen because the land was fairly flat and it was close to the diggings. The first matches were played against teams from the Ararat diggings, and later against those from the Landsborough, Deep Lead and other nearby diggings. The Borough Council built a picket fence around the ground in 1869, but in 1874 the visiting English cricket team, led by W G Grace, complained the ground was too small, and played the local team at the botanical reserve instead. Central Park is famous as the site of the running of the Stawell Gift, one of Victoria's most well-known athletic events. Its origins lay in the popularity of sports meetings as recreation in the nineteenth century, and specifically in the weekend events organised for their relaxation by the local gold miners. The earliest organised meetings in the town were held by the Stawell Miners' Association from 1873, but local sports events were also organised by the Easter Fete Committee, the Fire Brigade, the Free Library and some Friendly Societies. The Stawell Athletic Club formed in 1877, with the recommendation that an athletic meeting be held annually on Easter Saturday. It held its first meeting at the botanical reserve on Easter Saturday 1878, with £110 in prize money which attracted 200 entries and a crowd of 2000. The first prize for the Easter Gift, a 130 yard foot race, was £20, second was £3 and third £1. There were twelve events, including 150 yard, 220 yard, 600 yard, and 3 mile events, as well as an Old Men's Race (first and second prizes were a pig, third prize a sheep), a Sack Hurdle Race, vaulting and high jumping. The town celebrated the event with a carnival complete with sideshows and merry-go-rounds. For the second meeting, which was held at the show grounds, the total prize money was increased to £152, with the Gift receiving £50. The third meeting, held again at the botanical reserve, was held over two days, on Easter Sunday and Easter Monday, and it was to continue as a meeting of at least two days. A small profit was made by the club in each year. The Stawell Gift became an international event in 1884, when the amateur champion of Ireland, Tom Malone, competed, though he was disqualified for three false starts. An English competitor won in 1886 and an American in 1899. In 1911, when professional running underwent a boom in popularity, a record crowd of 8,500 saw two Australian champions and the United States Champion compete. The annual event was held at the botanical reserve until 1898, but the club struggled financially during the 1890s and in 1898 the committee made the decision to hold that year's meeting at Central Park, which had been declared a public park in 1894 and was much closer to the town. A good profit was made that year, which helped to reinvigorate the event. Since then the Stawell Gift has been held every Easter, apart from four years from 1942-45 during WWII, and has become Australia's premier short-distance professional running race. The event brought prestige to the town and injected much-needed income, especially during the 1930s depression. The presence of bookmakers and betting on the races was recorded for the first time at the 1881 meeting, and became an important part of the events, with forty bookmakers operating in 1946 on the lawns under the poplar trees. In 1973 all races at the meeting went metric, with the Gift becoming a 120 metre race rather than 130 yards. A Women's Gift has run since 1989. The race is run on a grass track, with competitors handicapped according to their form, and each competitor 'marked' or given a head start, by between 0 metres and 10 metres to theoretically reach the finish line at the same time. The Stawell Gift by 2011 had grown into a professional footracing meeting with sixty-six events over three competition days, culminating in the Stawell Gift race, which is now the most prestigious footrace in Australia, with a first prize of $40,000 and which is televised live around Australia. In all, more than $100,000 of prize money was competed for over the weekend, with much more working its way through the bookies ring. 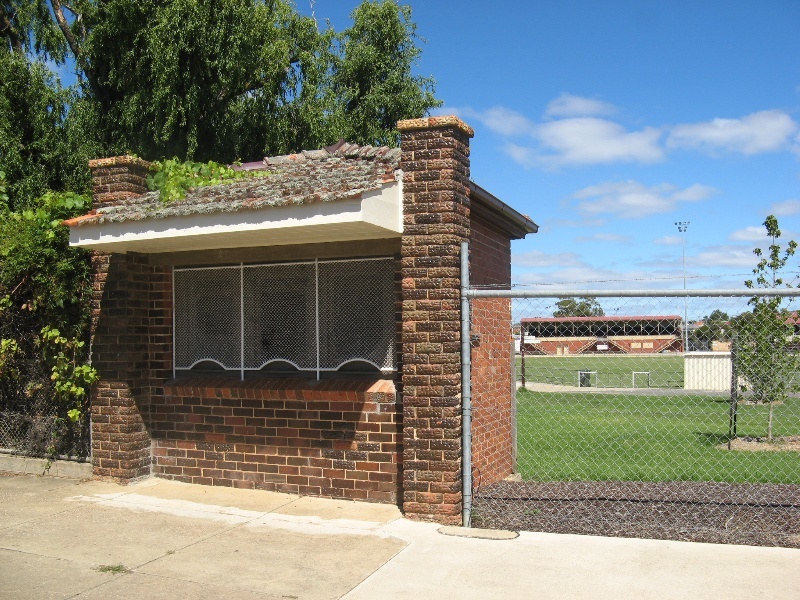 The site for a grandstand was chosen in December 1898, when the first Stawell Gift was held in Central Park, and was designed by the Melbourne architects Kempson & Conolly. It was built in three months by the Stawell builder A H Barnes at a cost of £593, and was completed in time for the 1899 Easter meeting. 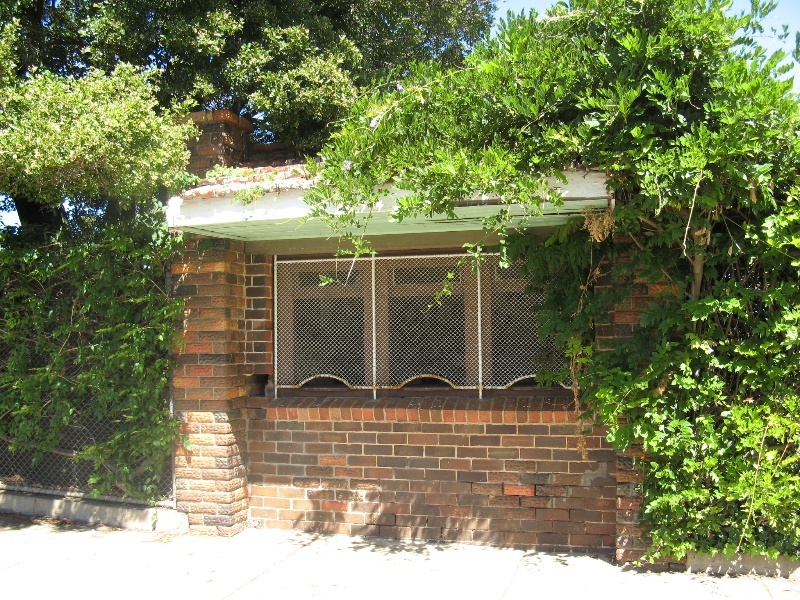 Restoration works were undertaken in 1990, which were officially opened by the Premier Joan Kirner at the Easter meeting in 1991. 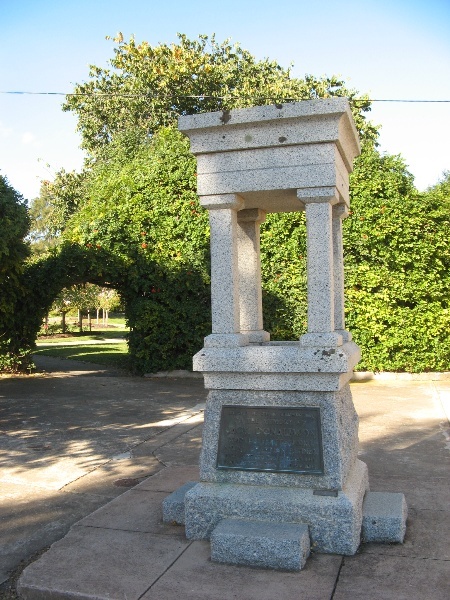 These were the subject of a design competition, which received forty entries and was won by the Stawell Foundry of Messrs Kay & Company, as a memorial to the fifty-seven Stawell men who volunteered to serve in the Boer War between 1899 and 1902. The gates were unveiled in 1903 by the then Premier W H Irvine. They consist of decorative wrought iron gates supported by solid masonry piers, and provide an impressive entry to the park. The ornamental gardens between Main Street and the oval have been a feature of Central Park since it was established in the 1890s. The gardens are enclosed by a thick hedge which creates a visual barrier, and comprises a series of garden beds with concrete paths between, with a sundial and a stone seat to the memory of Walter C Simmons on the eastern side. Other memorials near the entrance to Central Park are: a simple stone plinth with a brass plaque erected in 1986 and dedicated to all past runners; and a more elaborate granite memorial dedicated to Jack Donaldson (1886-1933), known as 'the Blue Streak', who competed several times in the Gift but never won, despite being, according to the plaque, a 'World's Professional Sprint Champion Runner'. On either side of the main gates are ticket offices, small brick buildings with terracotta tiled roofs. They appear to have been built in the 1920s or 1930s. 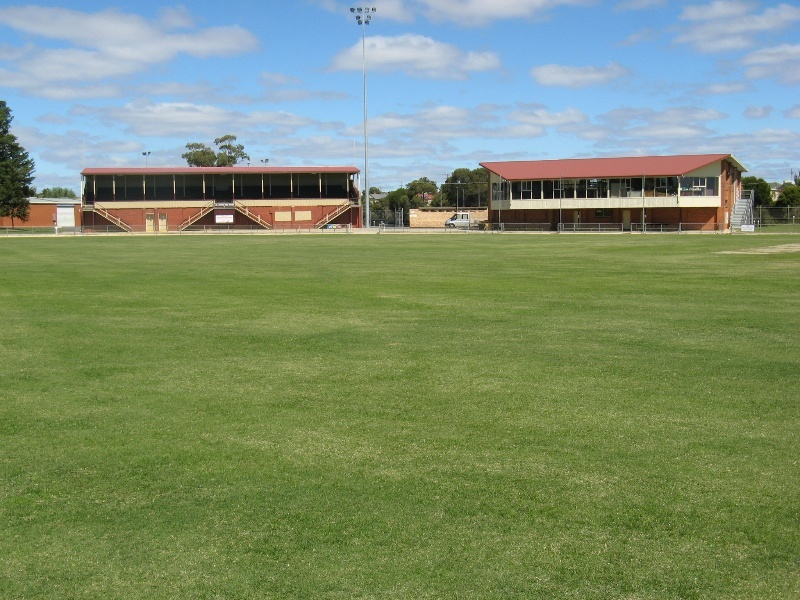 Central Park continues to be used as Stawell's premier sports and recreation venue, used by the community and by the Stawell Athletic Club, Football Club and Netball Club, and by the Grampians Cricket Association cricket throughout the year. The Park is managed by the Northern Grampians Shire Council, which commissioned a master plan for the site in 1990 from Stratcorp Consulting. Central Park is of social significance to Victorians as the site of the running of the Stawell Gift, one of Australia's greatest sporting events. This is the site of the Stawell Gift, one of Australia's greatest sporting events, held in Stawell every Easter since 1878 and at Central Park since 1898. 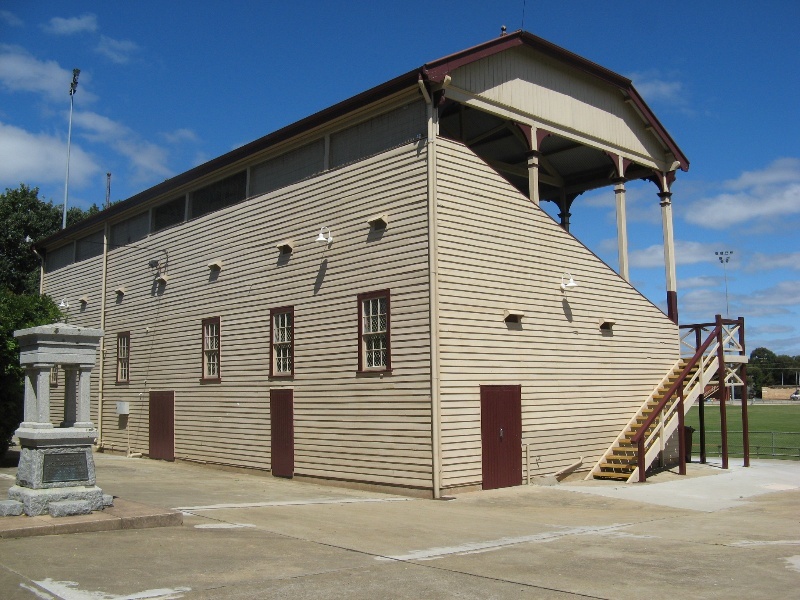 The rare Federation period timber grandstand was built in 1898. The only buildings included in the registration are the original timber grandstand and the two brick ticket offices on Main Street. The other buildings on the site are not included in the registration, and any internal and external works are permit exempt. However any additions to these buildings would be considered to be new building on the site and would require a permit.